Properties in Restoration House average 4.5 out of 5 stars. 4 star tourist board rated. Truly rural, on a farm. Pet friendly. Peaceful area. Property 6: 4 star tourist board rated. Truly rural, on a farm. Pet friendly. Peaceful area. Located on a Small farm, enjoy the countryside and see the animals. 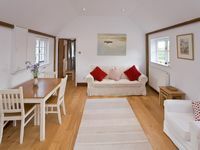 Property 8: Located on a Small farm, enjoy the countryside and see the animals. Beautiful romantic Listed Cottage in the heart of Faversham. Property 12: Beautiful romantic Listed Cottage in the heart of Faversham. C18th Forge cottage, pretty village in a central location. Property 19: C18th Forge cottage, pretty village in a central location. We were so happy there! The place was lovely the people were great! I couldn&rsquo;t ask for a better experience.